Replied by evil4blue on topic VacMouseketeers POST HERE!!!! Well, I guess I'll start things off by introducing everyone to the VacMouse. Maybe once everyone has posted their observations and experiences, Thea could explain where the name came from since there's nothing really mousy about this thing. The only thing missing from the photo is the packing slip. That's it, no instructions or hints of any kind. We were told that this was on purpose as to not sway our creativity in the usage of the VacMice. So in the above photo, there's a package of 5 VacMice and 3 sub primal drybags. 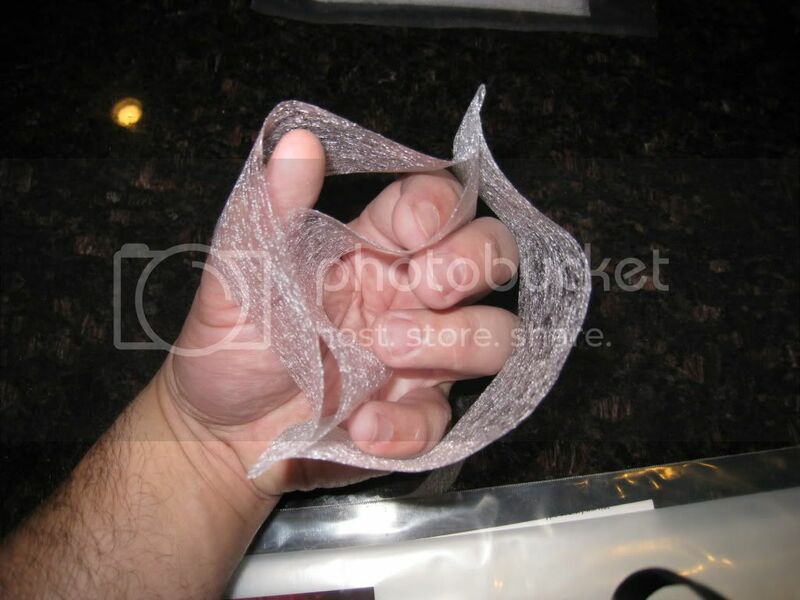 As you can see, it's 3 strips of thin, breathable, woven plastic mesh. The strips look to be heat fused on the ends to hold it all together. The first thing I wanted to do is see how wide these VacMice were to the sub primal bags we were sent. So as you can see, it doesn't go all the way across, the VacMouse is about 6.5" wide and the sub primal bag is 12" wide. 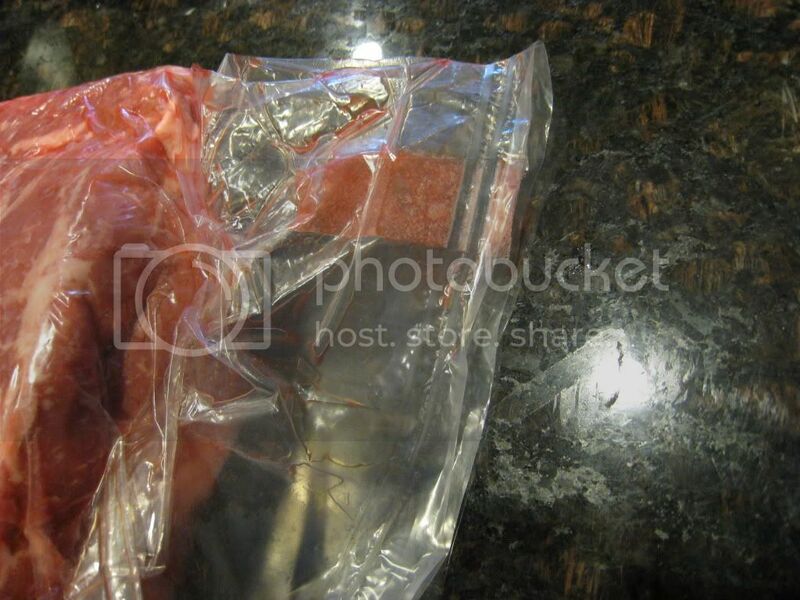 Anyway, I knew coming into this test that the object was to use a VacMouse to successfully vacuum seal a chunk of cow in a drybag using a channel sealer. 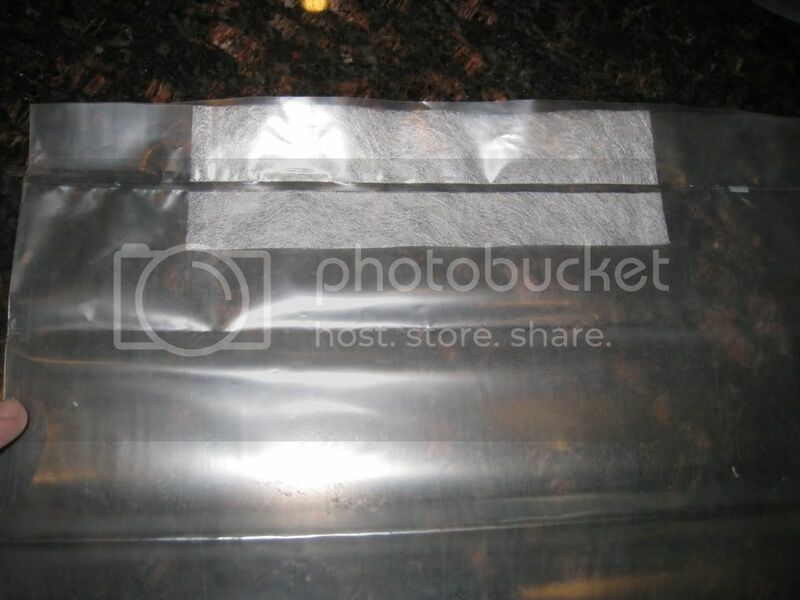 The reason why drybags don't currently work with channel sealers is that there is no air path built into the drybags like a foodsaver bag for the channel sealer to vacuum out the bag contents correctly/successfully. I had to assume that the VacMouse would help provide this needed air path and therefore allow a channel vac to work properly with the drybag. Looking back at my experience with the snorkel vac, suction was never an issue, but I regularly had trouble sealing the bag correctly. The first test I wanted to do was just seal a drybag with the VacMouse in the seal line. If I couldn't get a proper seal, the whole vacuum/suction/air path thing was moot. This model has a "Smart Seal" technology that did nothing but peeve me off for these tests. 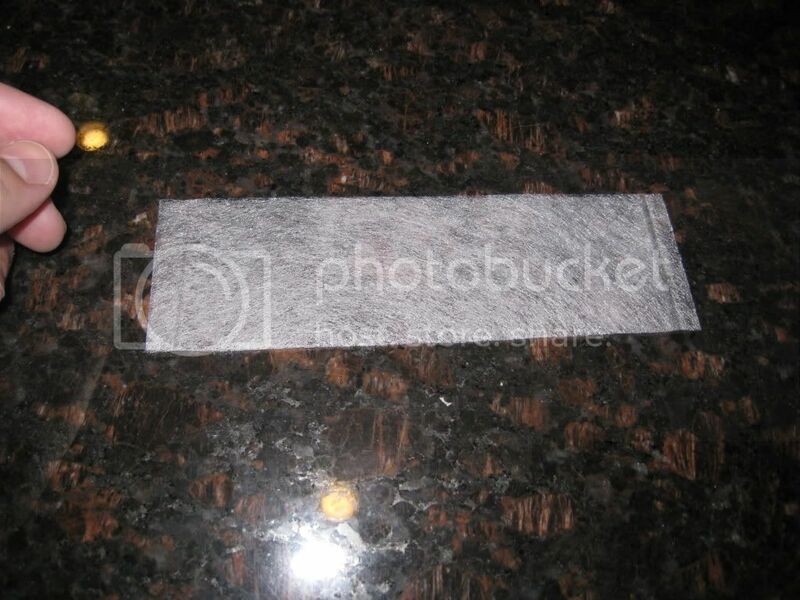 Smart seal is supposed to automatically sense when a bag is inserted correctly into the vacuum channel and then start the suction and sealing process. 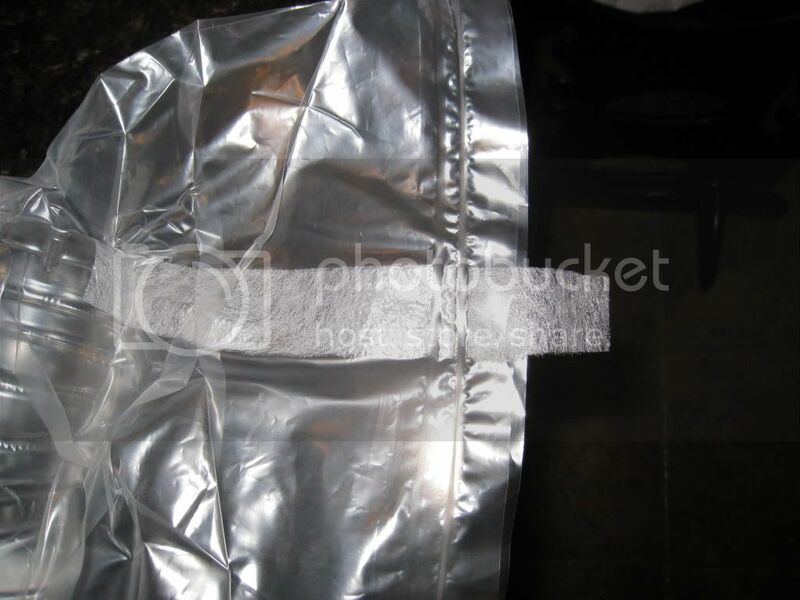 This was no good for the drybags since they are much more pliable than foodsaver bags and getting them in position to trigger the "Smart Seal" was a bear. Also, trying to position the VacMouse correctly inside the drybag was a whole other issue. 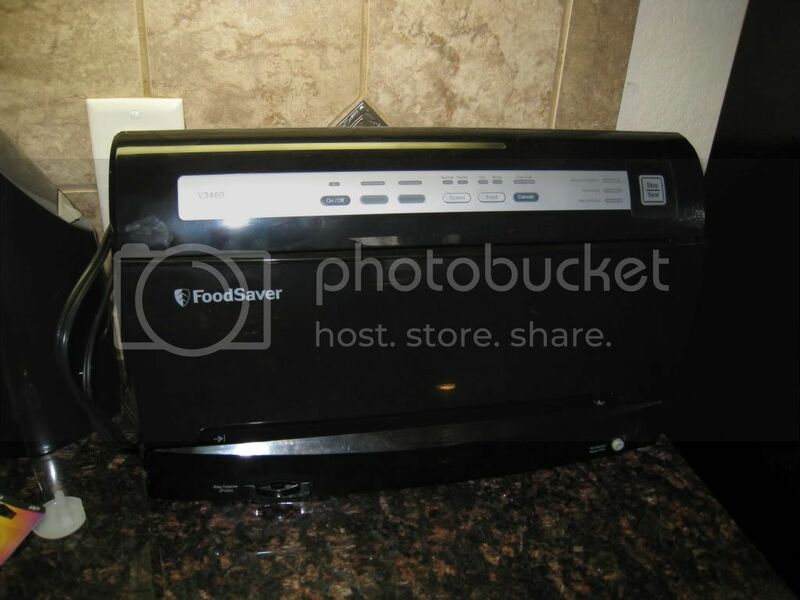 After about an hour or cursing at my foodsaver, I hopped on the internet to see if one of the local stores had an older style foodsaver available. Luckily there was one and I hopped into the car to go "Borrow" a foodsaver for this testing. 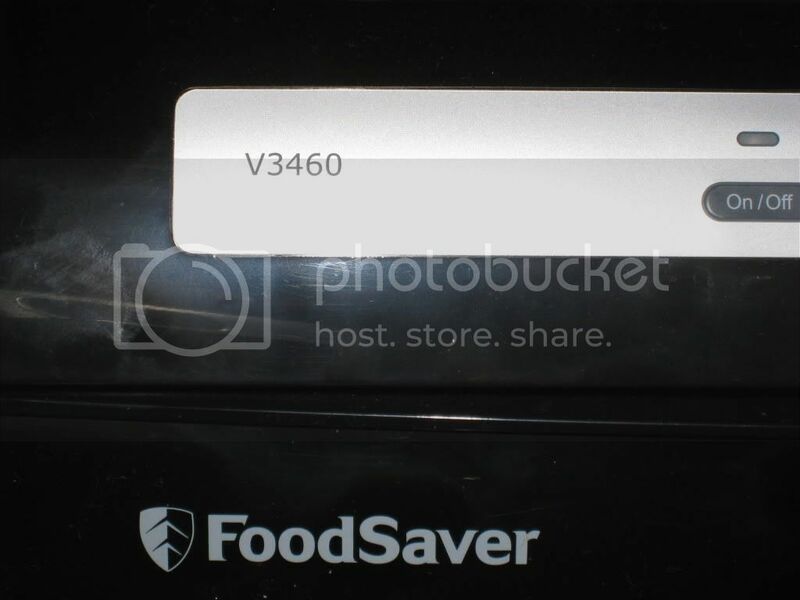 This model is the v2244 and it's really basic, but I had had enough with the "Smart" foodsavers. Perfect seal, nice and tight. As you can see above, I did a double seal. 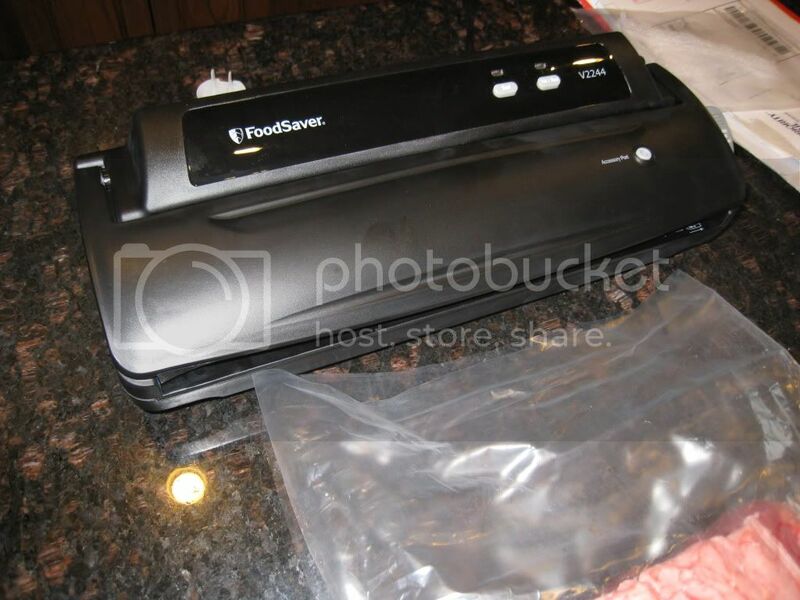 The vacuum was as good as you'd expect from a foodsaver with foodsaver bags. This was also as good as the best vacuum I had ever lucked into with the snorkel vac. I let the bottles hang out over night to check for leaks and they were still perfect in the morning. I was feeling good and adventurous, so I decided to go get a NY Strip at CostCo and give that a try. I ended up with a 12#'er and prepped it as per usual. I drained out most of the liquid in the cryo and slid the sub primal into a sub primal bag. I didn't trim the bag since I've always had better success with a little extra bag to work with. I grabbed another VacMouse and cut it in half the long way (Why waste them if half works). Positioned everything and let'er rip. I got a really nice vacuum and seal on the strip. The vacuum was close to perfect but you had to work quickly and massage as much air out before the foodsaver goes into its auto seal. 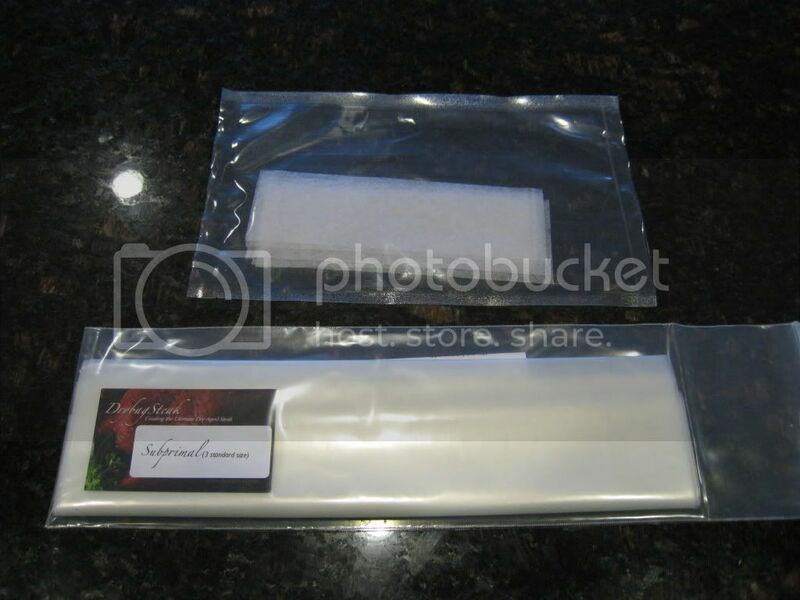 This was my first try with the foodsaver and VacMouse and I got as good a vacuum and seal as I normally get with the snorkel vac after much practice. All in all I was very pleased. Now, some of the things I learned and will apply going forward. In this testing I wanted to only use the VacMouse and no other aides, in the future though, all the old tips should apply. 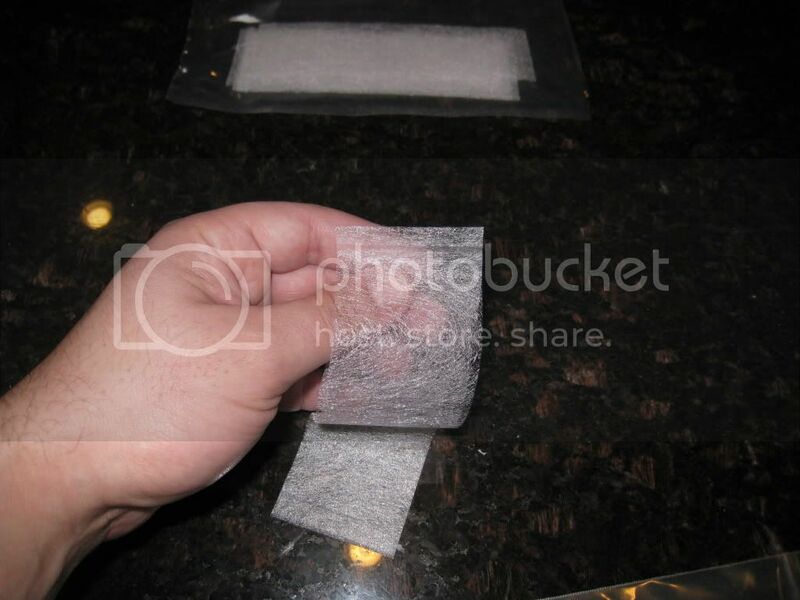 Use pantyhose to help get all the air out ahead of time. 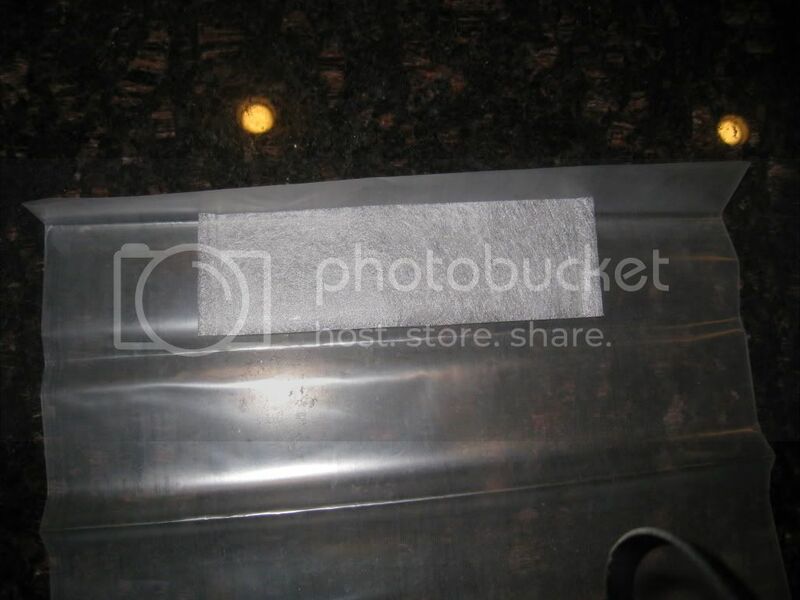 The drybag still likes to collapse on itself and if you take too long squeezing/massaging air towards the vacuum, the foodsaver will prematurely start the sealing process. 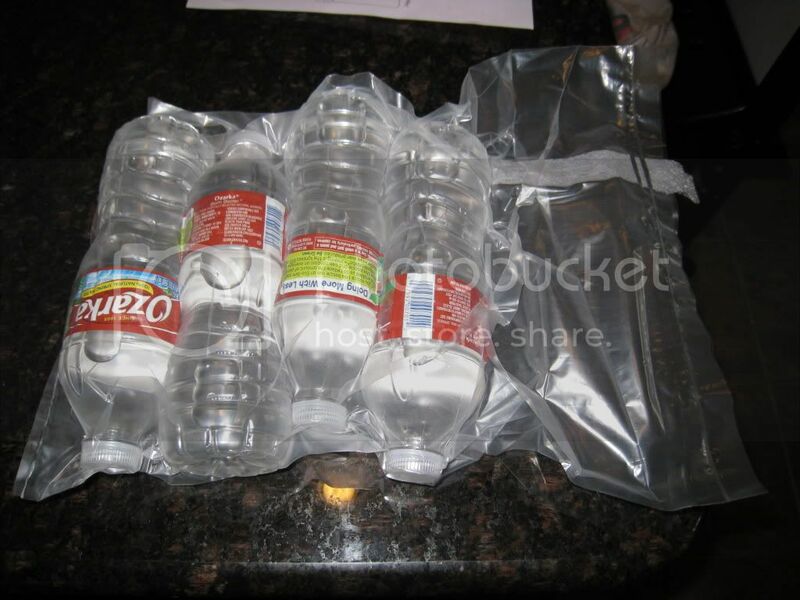 I think using a raft will help keep the bag from collapsing and allow you to get all the air out of the bag. I'd probably position the raft at the end of the VacMouse. It's late and nothing else is really coming to mind so I'll leave it at that. 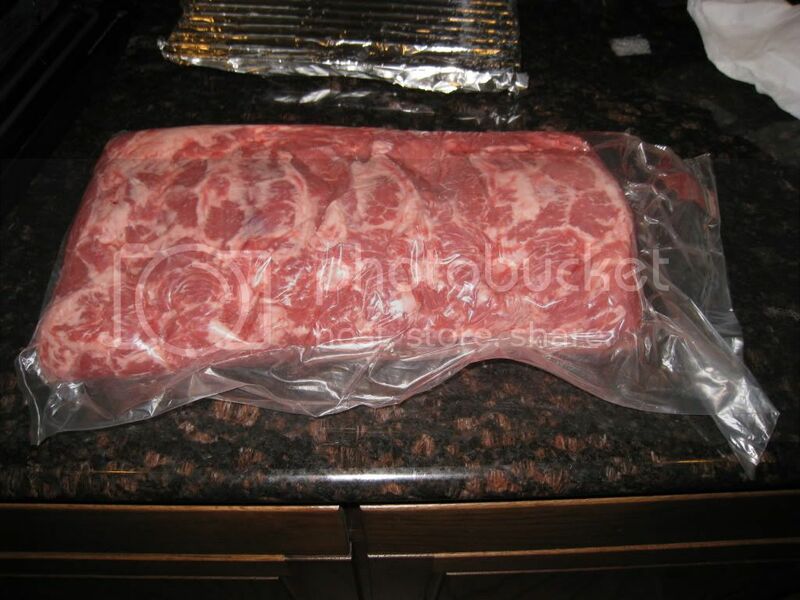 My primal is going on 2 days and the vacuum seal is still perfect. I'm very happy with these results so far. I can't wait to see what everyone else has done. Replied by RRP on topic VacMouseketeers POST HERE!!!! I can write Lab Reports in my sleep, but I figured we own it to Thea to try and be as thorough as possible. The more we all learn in these test trials, the better the final product. I was going to do some videos, but life called and I needed to tend to the kids. Anyway, this was fun, and in 30ish days, I'll get to eat my test...not a bad deal. Replied by aiki on topic VacMouseketeers POST HERE!!!! Same here with the vertical "smart" Foodsaver. I am trying to trick the mechanism, but have been unsuccessful so far. I was able to get it to work, but it's a pain. 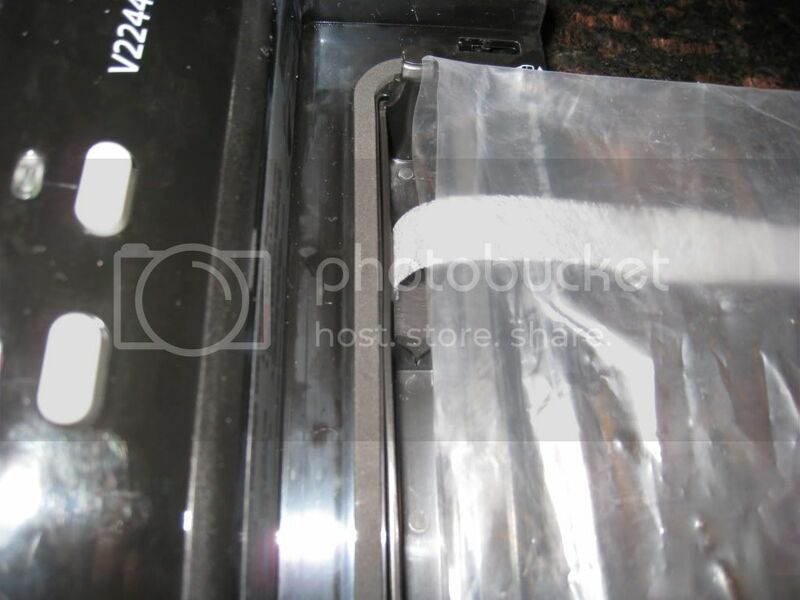 What I did was open up the unit, like you're going to clean out the drip tray, align the VacMouse and bag so the VacMouse "tail" (See my testing) was in the drip tray and the drybag was just short of the vac channel. Then close up the unit carefully so nothing shifts and slowly wiggle the drybag back and forth, moving it forward into the vac channel and the machine would kick off. Assuming, nothing moved around while doing this, it would vacuum and seal...but this was a huge PAIN.